American brandy has finally arrived—no, that’s not right at all. Brandy was being produced by our forefathers long before bourbon was even a possibility. In fact, the country’s oldest family-owned distillery is Laird’s, makers of—you guessed it—brandy. And when the first modern craft distilleries emerged in the early 1980s and 90s, what were they churning out? Say it all together now: brandy! They were doing it quite exceptionally, too, at places such as Clear Creek Distillery, St. George Spirits, Charbay Distillery, Germain-Robin and Osocalis. These were followed by the likes of Starlight Distillery and Jaxon Keys, amongst others. So no, brandy hasn’t arrived. It’s been here the whole time. But American brandy is finally getting a bit more long overdue attention these days. A big part of that is thanks to the cocktail world’s appreciation for brandy, particularly the wood-driven flavor profiles of the brandy being made at Copper & Kings. Consider that the gateway drug to the brandies being made across the rest of the country, from coast to coast. 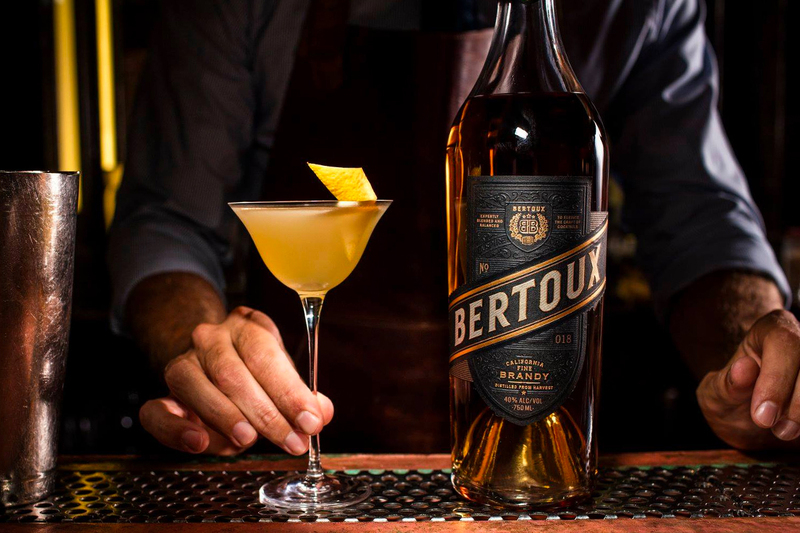 Staying in the cocktail world, Bertoux Brandy just launched at the end of summer. It’s a blended, sourced brand, incorporating a mix of pot-distilled California brandies aged from three to seven years. Founded by Jeff Menashe, the brandy was purposely built for the back bar, with input from the likes of Jeff Bell and Thomas Pastuszak. Keeping it Cali, an American brandy in an entirely different direction is Frisco. This pisco-style brandy produced at Seven Stills Distillery pays homage to San Francisco’s heritage as the historical home of the pisco punch in the early-to-mid 19th-century. Meanwhile, the Coppola family—which has long been prominent in the wine world—has turned to spirits. 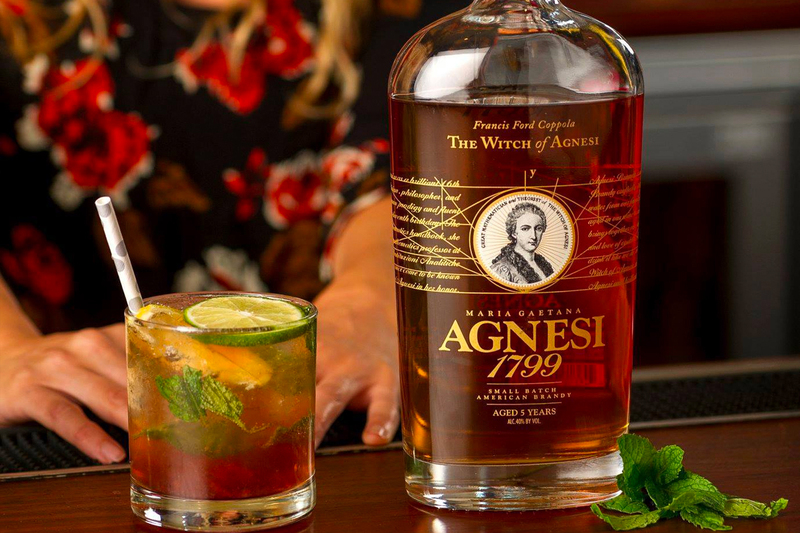 Maria Gaetana Agnesi 1799 is a five-year-old brandy sourced from prominent American distilleries. It’s even proofed down with Napa Valley water to keep things local. Dan Farber’s Osocalis, mentioned at the top, deserves special attention as well. Not only are his American brandies exceptional, but Farber is expanding his operations too, with a separate New York distillery on the way. Even more exciting is that Farber is helping to spearhead a distillery-driven California brandy categorization. This is similar to what the craft whiskey scene has seen in the form of Empire Rye. Unfortunately, as American brandy toiled behind the scenes for many decades, it actually became defined by its lack of definition. The movement therefore aims to set international-level quality standards on California brandy. As the catchy name of said category hasn’t been unveiled yet, you should stay tuned for more news on that front. Of course, all of the brandies mentioned above barely scratch the surface. Portland’s New Deal Distillery has an acclaimed Pear Brandy, a best in class winner from the 2018 American Distilling Institute awards. Virginia’s Catoctin Creek produces a spectrum of fruit brandies with locally-sourced ingredients. Its 1757 Virginia Brandy is at the forefront of its spirits portfolio. 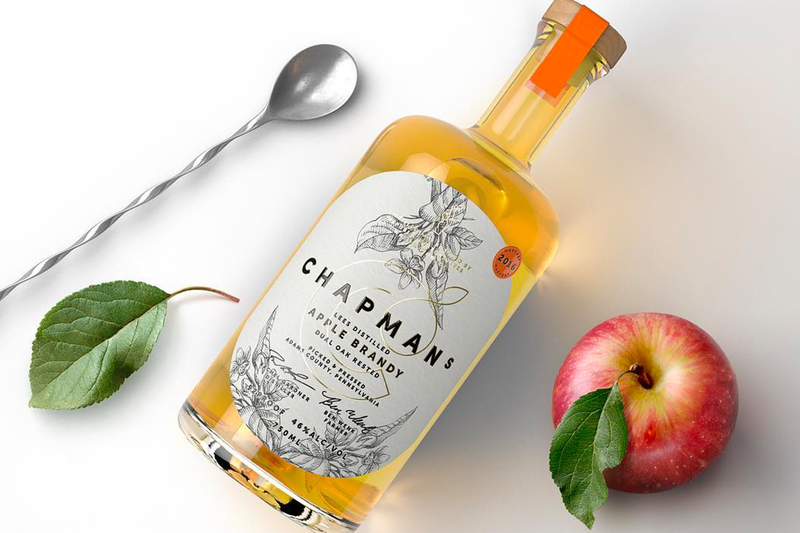 Close by in D.C., Republic Restoratives, has received high marks for its Chapmans Apple Brandy. It’s made by fermenting local apple juice and distilling the resulting cider on its lees, before aging in a combination of French and American oak. Don’t stop there. Head to New York for Finger Lakes Distilling’s Grape Brandy and Riesling Grappa. Then travel west to Pennsylvania to find the “Periodic Table” selection of fruit eaux-de-vie from Boardroom Spirits. Idaho represents with Up North’s Apple Brandy while Minnesota’s Dampfwerk Distillery flaunts German-style fruit brandies. Meanwhile, Central Texas is home to AFT Distillery, which makes Alpengold Edelbrand Austrian-style fruit brandies along with a matching, matured line of Texas Oak Reserve brandies. While American brandy may not be “just arriving,” there’s perhaps never been a better time in the modern era to explore the category and its diversity.